To go off cruising, we need a sailboat with a mind, a galley, and bunks. The watercraft, most likely a 30-footer and more often a 40-footer, has electronic devices for navigation and activity, refrigeration if trip is longer than a seaside jump, a motor for light wind, and, based on our appetites for meals and fun, maybe a genset to power our toys and devices. Going sailing, however, all we absolutely need is a hull, mast, rudder, and sail. To see the pure pleasure of sheeting in and scooting down across a lake, bay, and on occasion even the open ocean, there’s nothing better than a little ship. It is possible to literally reach out and touch water whilst flows past. You immediately feel every puff of snap and good sense every improvement in trim. The boats within roundup caught a person's eye of CW editors as they made the rounds of last winter’s watercraft reveals. 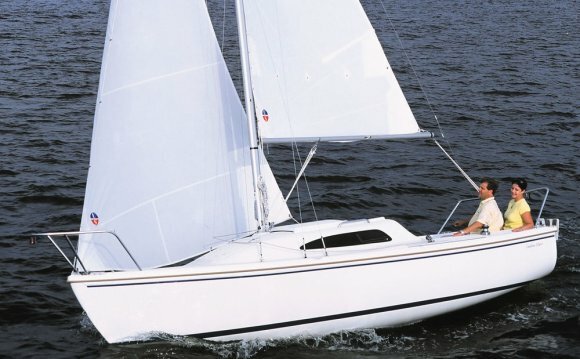 Some are brand-new designs, others tend to be time-tested models, but every one is not hard to rig, an easy task to sail, and seems like a lot of fun either for a solo getaway on a breezy afternoon or even hold family and friends entertained throughout your entire cruising period.